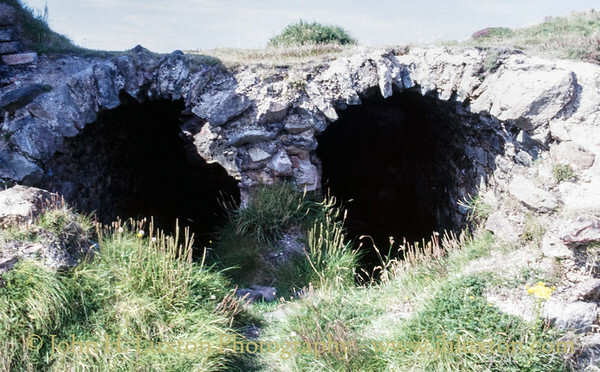 These photographs were taken between the 1960s and late 1990s and include views of the Crowns Engine Houses before conservation work was undertaken. 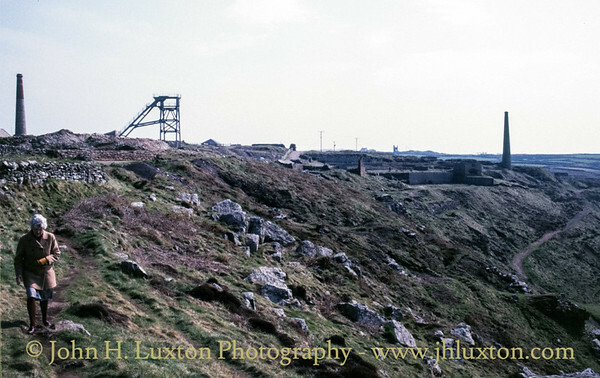 Botallack Mine - Allan's Shaft Head shortly after erection in the 1980s. 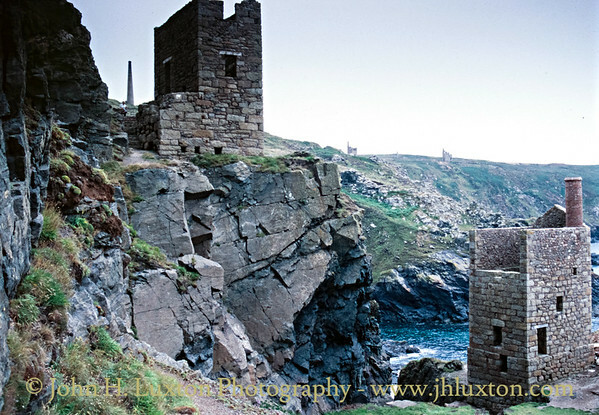 However, the tin crisis later in the decade meant that further work at Botallack by Geevor Tine Mines plc ceased and the head gear remains into the 21st Centrury as a reminder of what could have been a reworking of the mine. 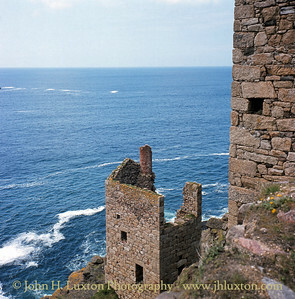 Botallack Mine Count House photographed during the 1980s when it was a rather nice restaurant - known as the Count House Restaurant. Your web master's MG Metro can be seen outside. A pleasant hour or so could be spent over a nice crab salad in the conservatory. This was removed and the restaurant closed when the building was acquired by the National Trust. 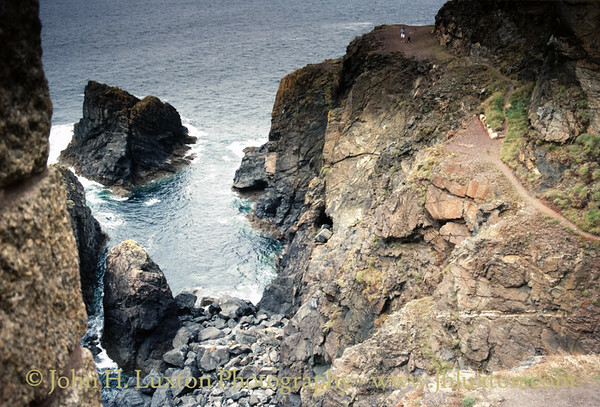 The National Trust retained the toilets and turned the building into an interpretation centre. 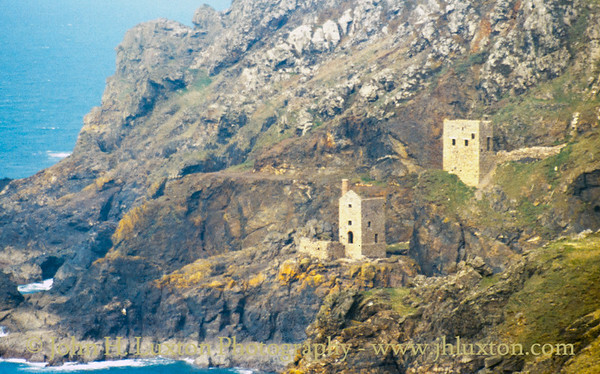 During the 2016 Season a make-shift cafe has operated from the site to serve the requirements of an increasing number of visitors visiting the Botallack and Wheal Owles mine sites where Poldark is filmed. 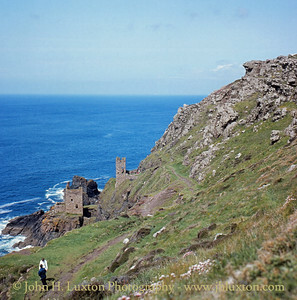 Crowns Section Engine Houses after completion of conservation / consolidation by the Carn Brea Mining Society. The Crowns Section pumping house The engine house is unusual in that the stack is located inside the building rather than outside due to the reduced space available on the cliff edge site. 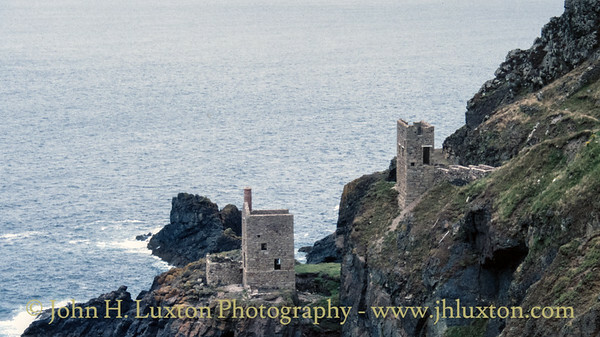 A less usual view of the Crowns winding and pumping engine houses. 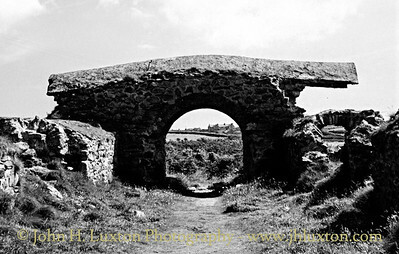 The winding house operated The Boscawen Inclined shaft which was carried down to the shaft mouth via a timber trestle. 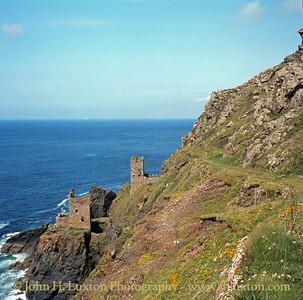 The arsenic stack can be seen between the winding house and cliff face. 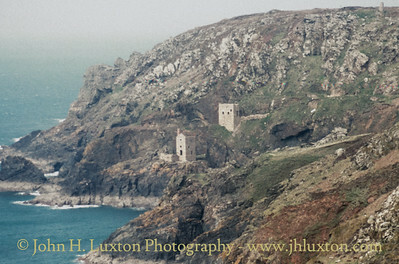 On the cliff tops in the back ground can be seen the engine houses of Wheal Owles. 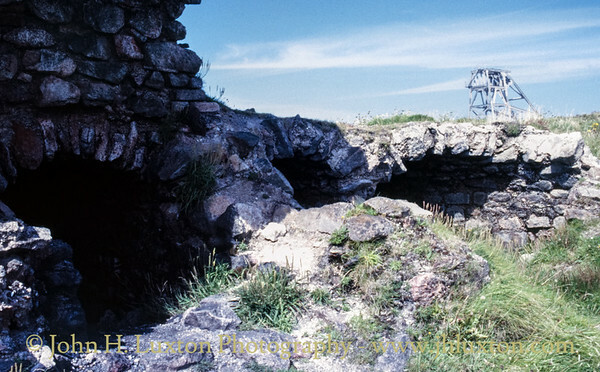 View from the Crown's Engine House to the Boscawen Inclined Shaft which can be seen in the centre of photograph with a large boulder near the entrance. 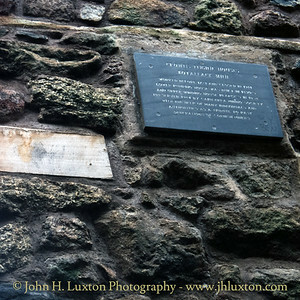 Plaque recording the conservation and consolidation of the Crowns Engine Houses by the Carn Brea Mining Society in 1984. 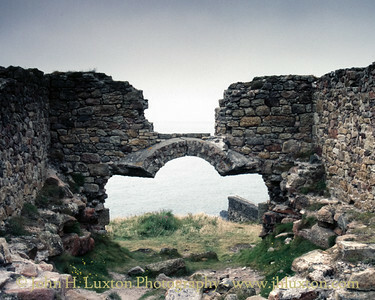 Interior of the Brainton Calciner building at Botallack Mine before conservation and consolidation work was undertaken. 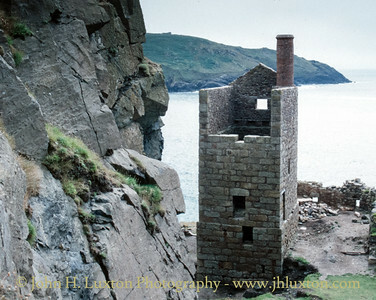 The Botallack Mine flue from the Braunton Calciner to the arsenic labyrinth and stack before consolidation / conservation work undertaken by the National Trust. 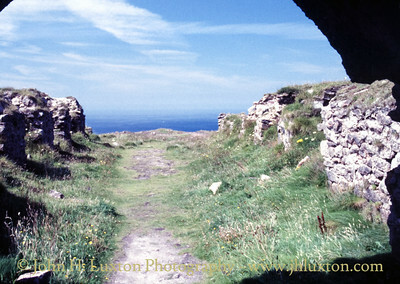 The Botallack Mine arsenic labyrinth before consolidation / conservation work undertaken by the National Trust. 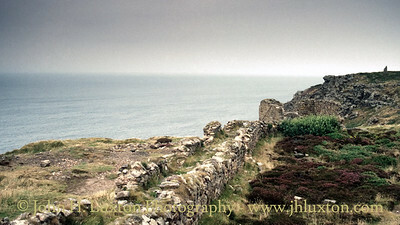 View of the higher level of Botallack Site with Allen's shaft on the left. The remains of the early 20th Century plant buildings in the centre with the arsenic plant and chimney to the right. 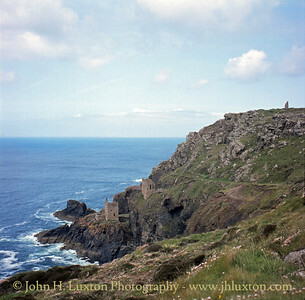 Crowns Section Engine Houses shortly after completion of conservation and consolidation work viewed from Wheal Owles. Crowns Section Engine Houses shortly after completion of conservation and consolidation work.